The Effect 56 Torch Lighter is a truly remarkable Double Blue Torch Flame Lighter. 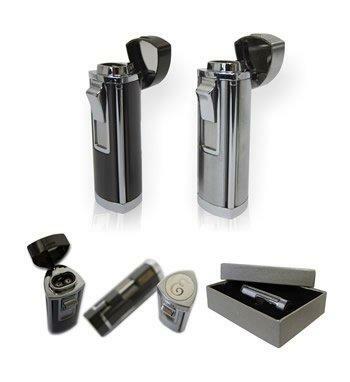 Built with quality in mind, this torch lighter is wind resistant, contains a flip lid, and has an adjustable flame for different heating purposes. The Effect 56 Torch Lighter contains a universal refilling valve and is perfect for lighting Quicklighting and Semi-Quicklighting Hookah Charcoals.